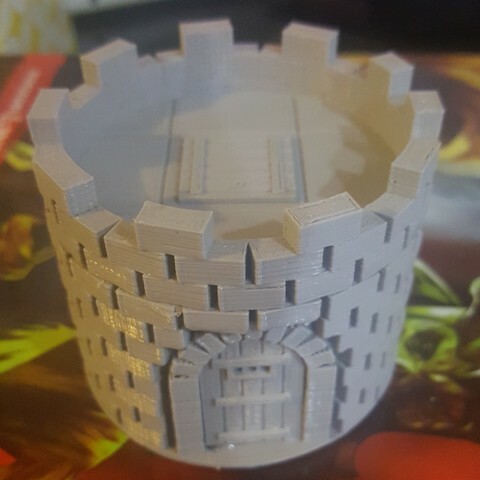 This is a small guard tower or outpost for 28mm or 1-inch scale models. It comes in three parts- the first floor, the door, and the top floor. Both floors have a 1" grid embedded, but due to the size of the model, only one mini will likely fit inside at a time. the door has a pin on the bottom (with a matching hole in the frame) and will stay in place with a simple friction fit. I will likely be rebuilding this soon to work with the Openlock system along with an assortment of other tiles.